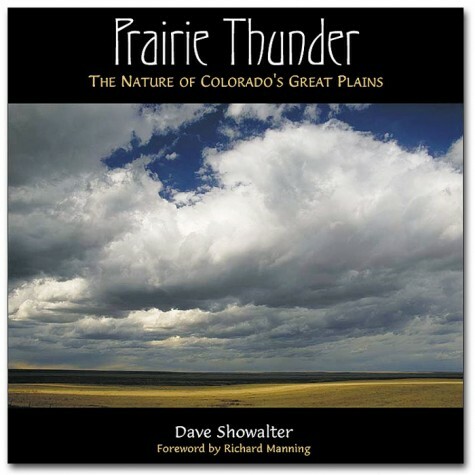 Signed copies of Dave's award-winning Prairie Thunder now available! Prairie Thunder, winner in the pictorial category of the 2008 Colorado Book Awards celebrates the often overlooked beauty of the Colorado prairie. Dave transports readers to these open, wind-swept lands through photos depicting their incredibly diverse wildlife, seasonal transitions and conservation challenges. Through colorful and informative text he shares his experiences of following the cycles of the prairie over the course of this four-year project. He also tells of positive partnerships between environmental organizations, government agencies and private land owners that are transforming vital lands all across eastern Colorado into wild havens for a myriad of species, from bald eagles to bison. The book has even received the endorsement of the Colorado Audubon Society! Prairie Thunder also includes a foreword written by Richard Manning, one of the world's foremost authors on the subject of grasslands. Richard weaves a story of finding a young fawn hidden in native grasses in his Montana yard, tying that event to how grasslands throughout the world are an important, yet critically under-protected part of our biosphere.